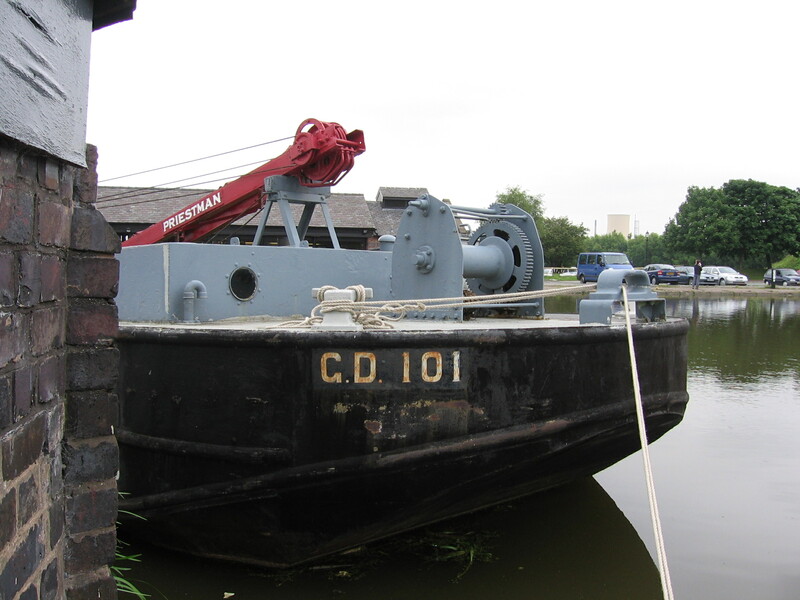 Grab Dredger GD 101 was built for the Manchester Ship Canal Company in 1954 for use on the Bridgewater Canal. She has a punted bow and stern with abrupt angular plate shaping consistent with a craft built to a restricted budget. GD 101 is unusual because she is self-contained. She has a small hoppered hold forward of the crane, plus the grab equipment (most grab dredgers are a dredger alone and the spoil is loaded into other hoppered barges for removal). With GD 101's arrangement, localised spot dredging could be carried out without the need of a fleet of craft. 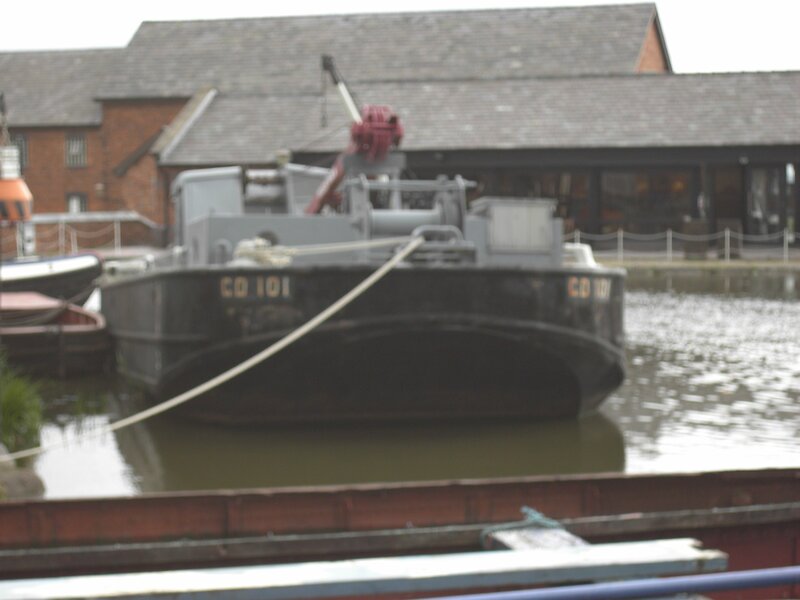 GD 101 was donated by the Manchester Ship Canal Company to the Boat Museum, Ellesmere Port in 1983. Since then GD 101 has been restored to working order and is occasionally demonstrated. We are lacking information on this particular vessel. If you have any information on this vessel past or present, please contact us.